Umuahia New Skool English & Pidgin Rapper "Rapkid9ja" (9JaBoi) , real name Michael Chigozie is here with ONE SONG. He was born and raised in Abia state and educated at the prestigious Government college Umuahia . 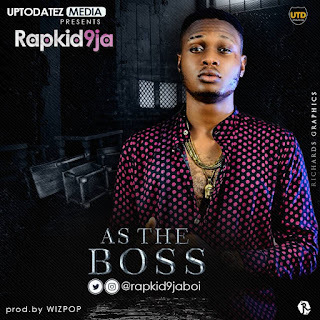 “As The Boss” is a Soulful Midtempo Afro sound which showcases a struggle all too familiar to Nigerians and Africans alike. Take an honest listen and feel the vibrations. The new record is produced by WizPop. Stay tuned to his future releases.